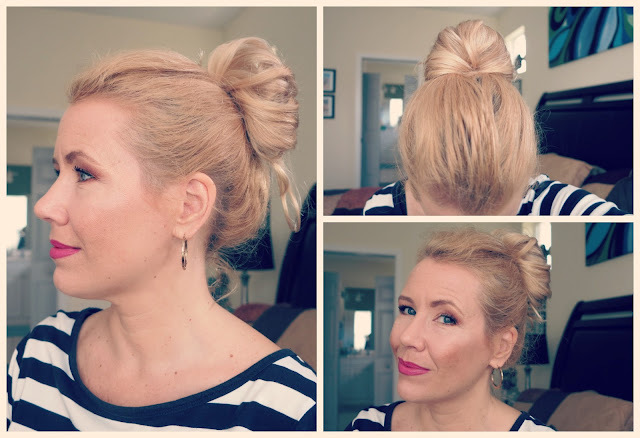 It´s all about that bun! 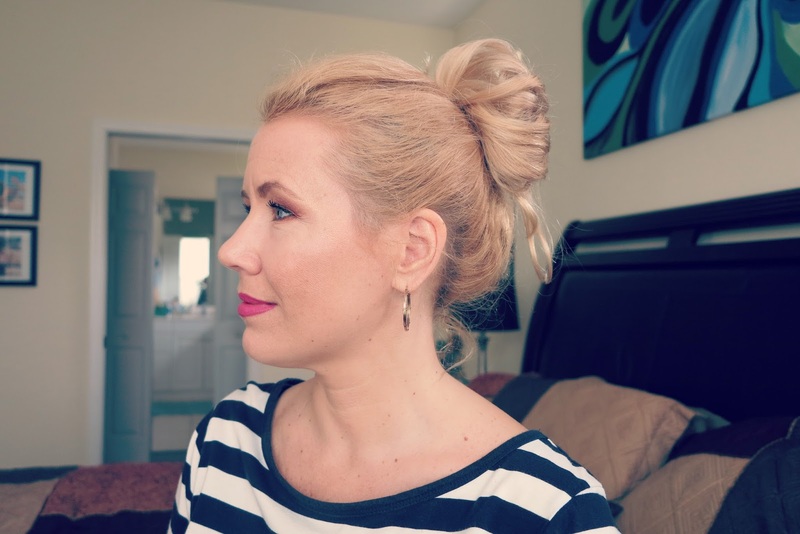 ;-) I love wearing a bun and have already a tutorial for a messy bun and a donut bun- but today I show you the easiest way I can imagine to do a bun- takes 1 minute and still looks super pulled together (it literally is pulled!). 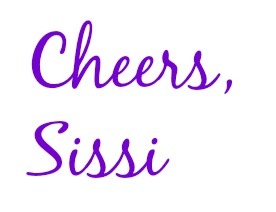 STEP 1: Make a ponytail with that elastic. STEP 2: Create a "gap" on the top of your head- right before the elastic holds your ponytail. 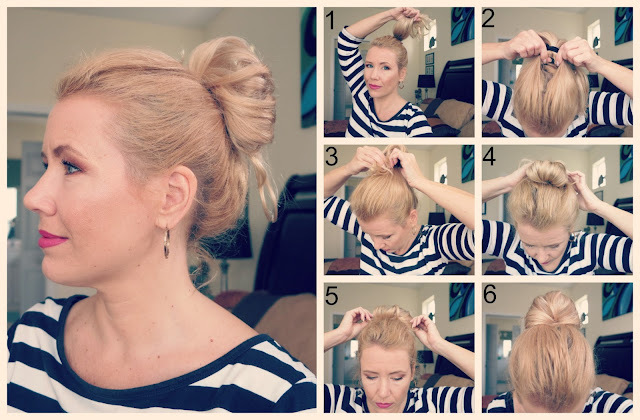 STEP 3: Now take the hair of your ponytail and pull it through the gap you just created. STEP 4: Get all that hair inside. STEP 5: "Fluff" your hair out so it looks more voluminous. STEP 6: Admire your ONE ELASTIC BUN ALL DAY LONG! Told you, super easy to do! If you have very fine hair, you might want to first tease your ponytail and use some hair spray.